Black as night, all is beautiful and bright for dear Andrea Rutaquio's coming of age! Andrea Elegant at 18. Another honor to serve as master of ceremonies for a very special debut; but what makes it extra special is that this is one of those productions where I can have my best friend and not-so-little event assistant tag along. Doesn't he look very handsome in his suit? 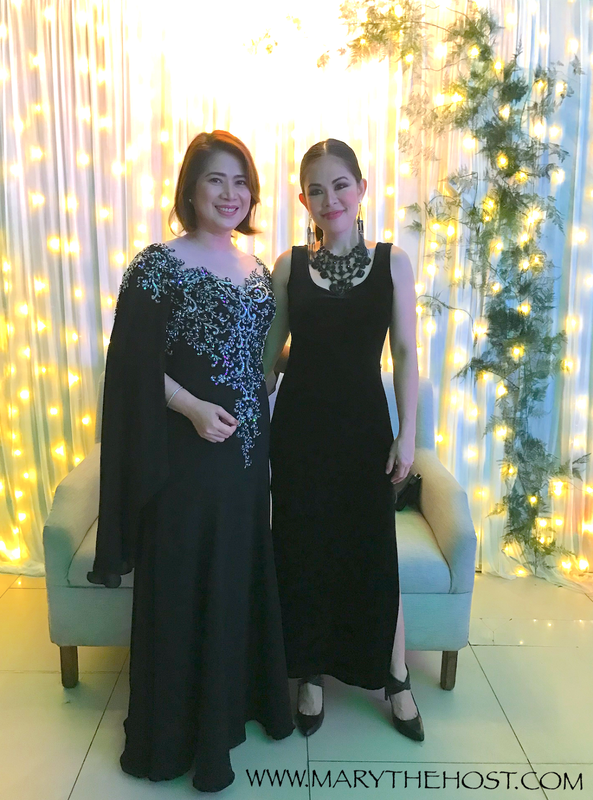 Below are a couple of snaps with Milba Rutaquio who trusted me to emcee for both of her beautiful daughters' debuts... Andrea, the debutante just looks as lovely as her loving mom! Last year, I also had the honor of hosting her big sis Angela fabulous and grand debut and here's a glimpse back via my other blog post: Angela Rutaquio's Debut Ball! 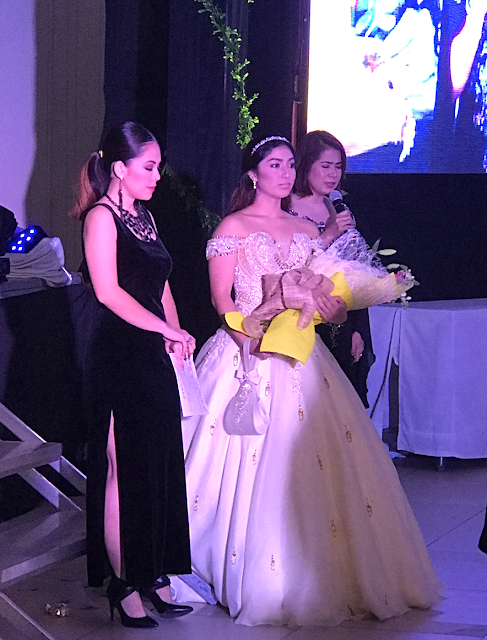 Again, thank you so much, Mommy Milba and of course, birthday girl Andrea for letting me serve as master of ceremonies for this magical party and one of the most important moments in your family's lives. My son and I truly had a blast!